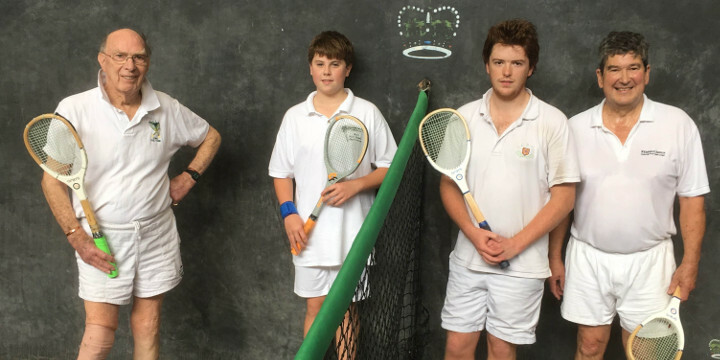 Many thanks to Cambridge University Real Tennis Club for welcoming us back for our 2018 Closed championship event. We were in Cambridge over the weekend of 8th–9th September, with the 2018 IRTA Irish Closed Championship being held on Saturday 8th, and a match between the IRTA and the CURTC taking place on Sunday 9th. This year’s tournament was organised on a round-robin basis, with each match being a single set to eight games, played to half handicap difference, and the top two players qualifying for the final. In parallel, entrants also participated in a doubles tournament. The doubles pairings brought the lowest and the highest handicapper (using doubles handicaps) together, the second-lowest and the second-highest, and so on, with matches also being a single set to eight games, but played level. The top two pairs emerging from the round-robin group qualified for the final. Matches began at 9 o’clock on Saturday morning, with Richard Ramjane and Roland Budd emerging as the finalists in the singles competition. In the doubles, Budd teamed up with James Rossiter, Ramjane with Rustom Manecksha, and Rupert Derham with Tony Penny. Ramjane and Manecksha went undefeated in the group matches, winning both 8–2, with Budd and Rossiter defeating Derham and Penny to qualify for the other place in the final. The doubles final saw a dramatic turnaround, with the earlier 8–2 scoreline between the pairs all-but reversed as Budd and Rossiter found an additional level of concentration and overcame the favourites Ramjane and Manecksha 8–3. The morning match between the singles finalists had seen Budd defeat Ramjane 8–2, but many of the games had been close. In the final, which was played at the end of the afternoon, Ramjane opened strongly, leading at one stage by four games to one. However, Budd regained the initiative and overhauled his opponent, ultimately taking the match 8–6. On Sunday 9th the IRTA played a match against our hosts, the CURTC. As on Saturday, we enjoyed the use of the two fine courts, with matches running in parallel for much of the day. 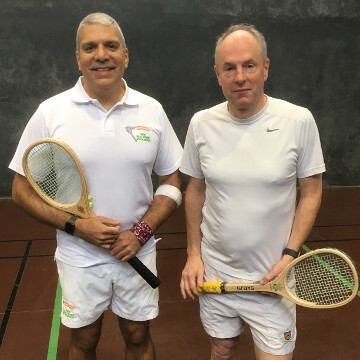 In a repeat of the pattern set in the last match between the IRTA and the CURTC, the hosts started strongly, with Andy Smith defeating Rustom Manecksha 6–3, 6–4. 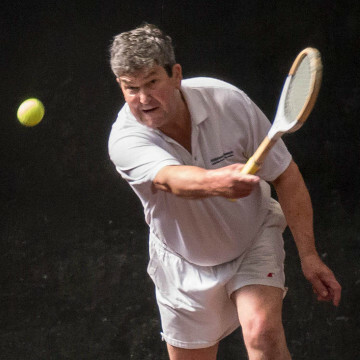 The teams were back on level terms, however, once Roland Budd had reversed his result of 2016 against Julian Stafford, winning this time by 6–2, 6–0. The IRTA took the lead when James Rossiter, who continued to impress with his clean hitting, came back from a set down to overcome Ben Geytenbeek 2–6, 6–3, 6–4. Christie Marrian of the CURTC defeated the IRTA’s John Lees (who played against us in 2016, but has since embraced his heritage and acquired an Irish passport) 6–5, 6–3, to bring the overall scores level once again. Richard Ramjane continued his strong run of form to take a convincing win over Gerald Smith, 6–1, 6–2. 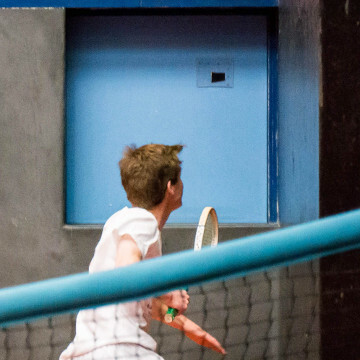 This was followed up by a doubles victory (6–1, 5–6, 6–5) for the IRTA pair of James Rossiter and Mike Bolton — youth and experience combining very well in a close match against Ben Geytenbeek and Peter Miller of the CURTC. The last match of the day also went to a deciding third set, with the IRTA’s Tony Penny showing great stamina at the end of a busy weekend of tennis, and ultimately prevailing over Howard Mason 6–5, 1–6, 6–4. Thank you to the CURTC – committee, members, and pros — for having us back over the weekend, and in particular to our opponents in the Sunday match for some keenly contested tennis and an excellent lunch. For reference, the criteria for entrance were as follows.